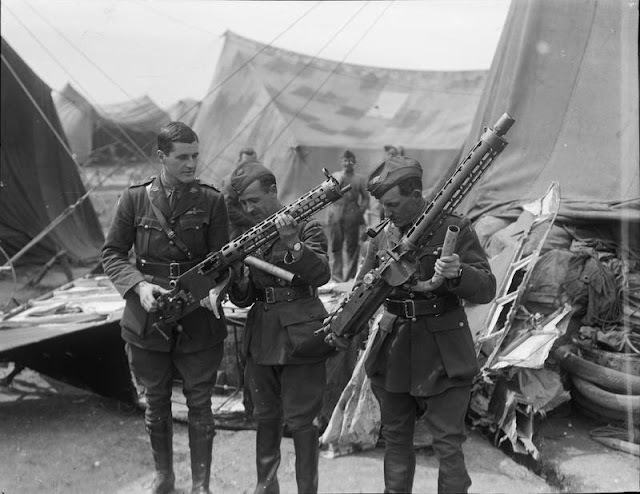 daily timewaster: The two Spandau machine-guns from Rittmester Manfred von Richthofen’s wrecked Fokker Triplane being examined by officers of No. 3 Squadron, Australian Flying Corps at Bertangles, 22 April 1918. The two Spandau machine-guns from Rittmester Manfred von Richthofen’s wrecked Fokker Triplane being examined by officers of No. 3 Squadron, Australian Flying Corps at Bertangles, 22 April 1918. Quite a war trophy. I wonder where they are now?